Presented here is a collection of five game used New York Mets batting helmets. 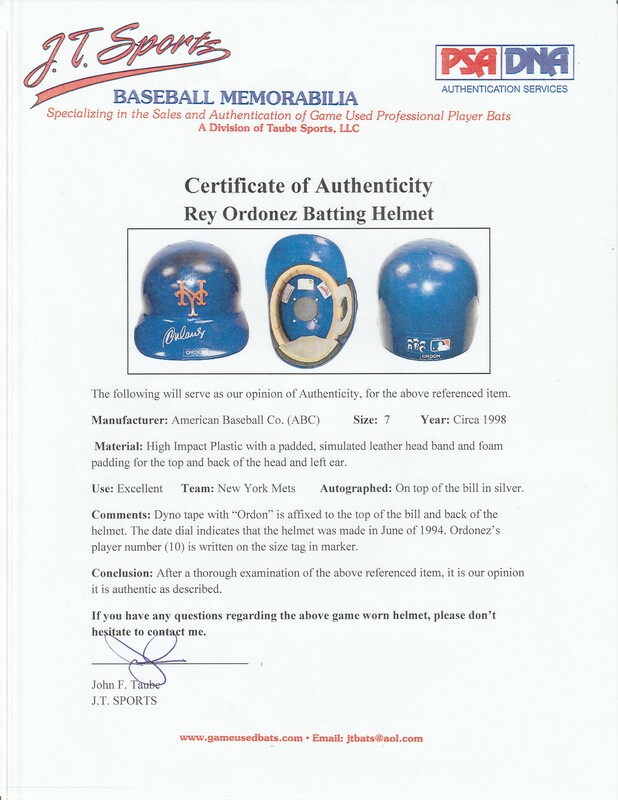 The first helmet was worn by Rey Ordonez. The helmet has an “Ordon” label applied to the brim and back, and a slightly peeling orange Mets logo applied to the front. 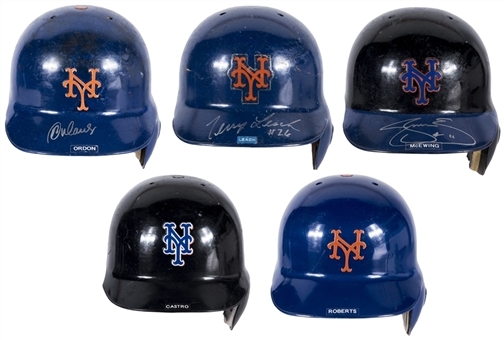 The flap is over the left ear, and Ordonez has signed the brim of the helmet in silver marker. The next helmet was worn by Terry Leach. 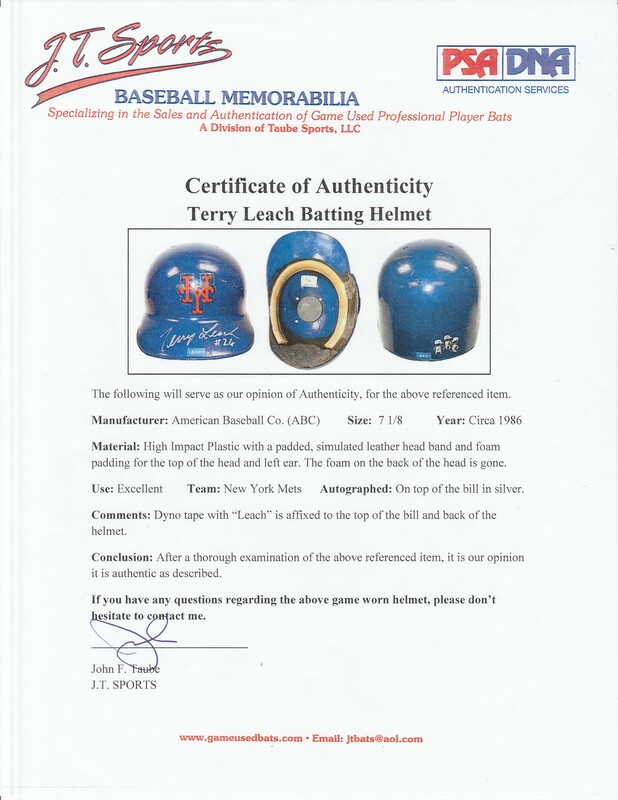 The helmet has a “Leach” label applied to the brim and back, and an orange Mets logo applied to the front. The flap is over the left ear, and Leach has signed the brim of the helmet in silver marker. The padding in the back of the helmet and on the ear flap is missing on this size 7 1/8 helmet. The third helmet was worn by Ramon Castro. 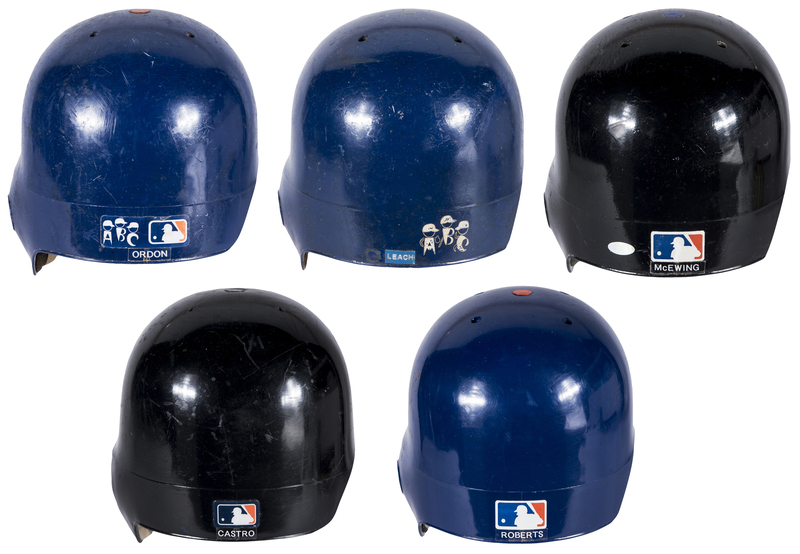 This black helmet has a flap over the left ear and “Castro” labels on the brim and back. 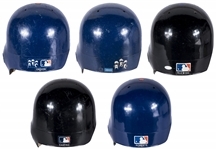 The fourth helmet is black, with a blue brim. It was worn by Joe McEwing. He has signed the brim of this size 7 1/8 helmet in silver marker. 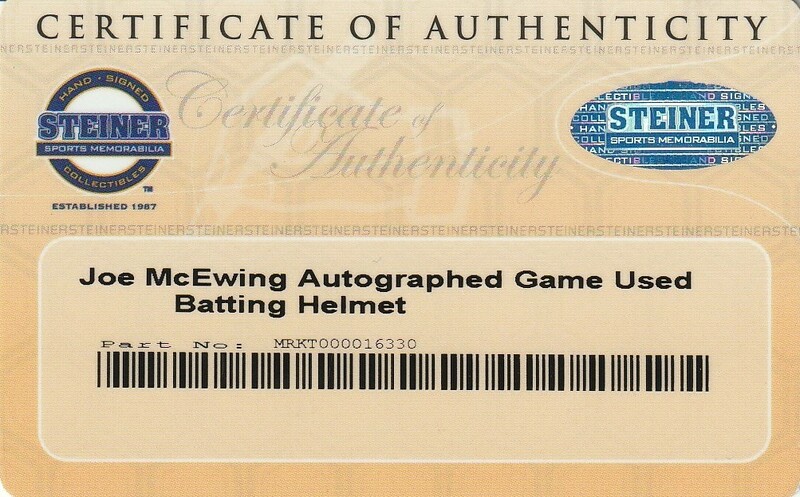 This helmet comes with a COA from Steiner Sports. 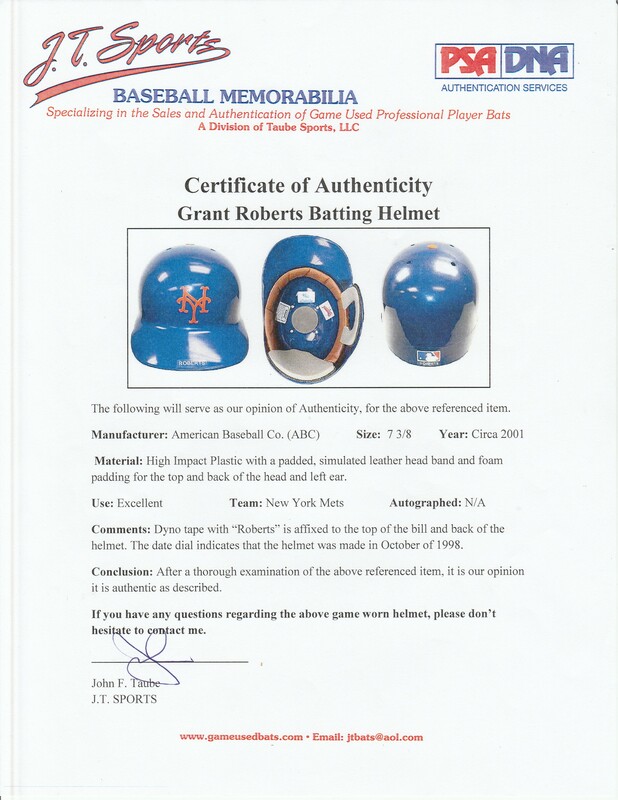 The final helmet is blue and is identified by a “Roberts” label on the brim and back. The size “7 3/8” cap has a flap over the left ear and has all the interior padding intact. The helmets come with a LOA from JT Sports. This lot has been pre-certified by Steve Grad of Beckett Authentication.